Another area of focus for the Center is the effort to bring patients value-added services. The Center's biggest customer service strength is that each patient has an initial office visit and comprehensive interview before a sleep study is scheduled. However, some are directly referred for study after their sleep history questionnaire and referring physician history and physical are reviewed by our medical staff. 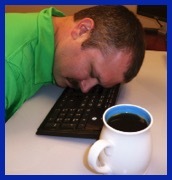 The morning after the sleep study, the patient is again seen by his or her doctor to discuss overnight results and initiate a treatment plan. Following a study, the patients are encouraged to call if they are having difficulties, such as with adjustment to CPAP treatment or to medications if prescribed. They may also then be scheduled for follow-up visits as needed. The Center also employs CPAP specialists that work with patients on all CPAP/Bi-PAP issues. These therapists are able to train patients on how to use and care for CPAP equipment as well as ways to be successful CPAP patients. The Center has found that this extra care is vital to ensure that patients who are prescribed CPAP or Bi-PAP continue their use months and years later. Patient feedback is solicited via customer survey postcards distributed during office visits and after each sleep study. The data compiled from these surveys is interpreted by the Center's quality assurance staff to specifically critique areas such as wait times, physician and office staff satisfaction, sleep technician satisfaction, physician communication, facility cleanliness, and convenience of location. 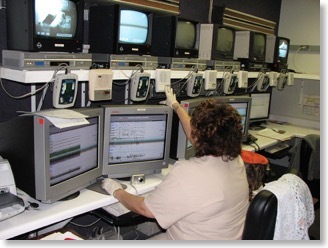 The Center has a full complement of employees to closely monitor patients throughout the sleep study process. The Physician and Nurse Practitioners' hours are 7:30 AM to 5:00 PM. In addition, the Center's administrative office provides pre-authorizations and handles billing over the internet as well as through the company's e-mail address.